Check out the latest KissMe Spoilers on My Subscription Addiction! 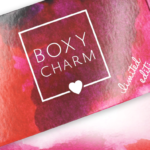 LiveGlam KissMe Lipstick Club February 2019 FULL SPOILERS + Coupon! LiveGlam KissMe Lipstick Club January 2019 FULL SPOILERS + Coupon! LiveGlam KissMe Lipstick Club December 2018 FULL SPOILERS + Coupon! LiveGlam KissMe Lipstick Club November 2018 FULL SPOILERS + Coupon! LiveGlam KissMe Lipstick Club October 2018 FULL SPOILERS + Coupon! LiveGlam KissMe Lipstick Club September 2018 FULL SPOILERS + Coupon! LiveGlam KissMe Lipstick Club August 2018 FULL SPOILERS + Coupon! LiveGlam KissMe Lipstick Club July 2018 FULL SPOILERS + Coupon!